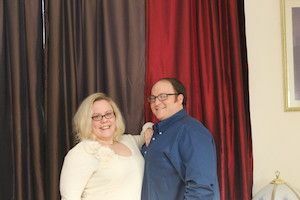 Fred and Victoria Skeppstrom, of Wilmette, Illinois, launched their TapSnap business in December of 2013 and are enjoying their success with a smile. The Skeppstroms say their success can be explained with their motto “The show must go on!” It’s as simple as it sounds, by providing exceptional customer service, compassion and enthusiasm, they are able to ensure a fantastic event experience everywhere they go. Based out of Wilmette, IL, Fred and Victoria have gone through many different job environments, including a shared background in emergency medical services. At a certain point, their desire to work for themselves and their love of their own wedding led to them to TapSnap. Not even a month into their business, the duo had the opportunity to showcase their talent at the world famous Palmer House in Chicago for the spectacular New Year’s Eve celebration. Excitedly beginning their TapSnap business with warmth, creativity and passion, Fred and Victoria are eagerly taking on this new chapter of their careers.